Bruce Lee was born in San Francisco in 1940 and was brought up in Hong Kong. 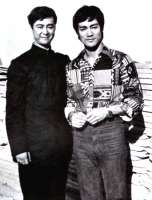 His father, Cantonese actor Li-Ho-Chuen, taught Bruce the rudiments of Kung Fu and almost from then on Bruce's ambition was to perfect his knowledge of the martial arts. 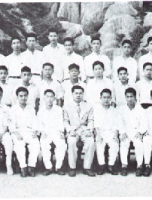 "My father sent me to study with Yip Man, a famous teacher of Kung Fu. I later modified this technique into a style I call Jeet Kune Do which, basically used more footwork than the elementary style". From the age of 13 he modified and built on these techniques until he not only became the supreme martial artist but became the heartthrob of millions all over the world. Bruce wrote a book on his style of fighting but it was never published. "I didn't publish it because I don't want people to say they studied under me when they didn't. Some guys would read the book and then open schools using my name as instructor". 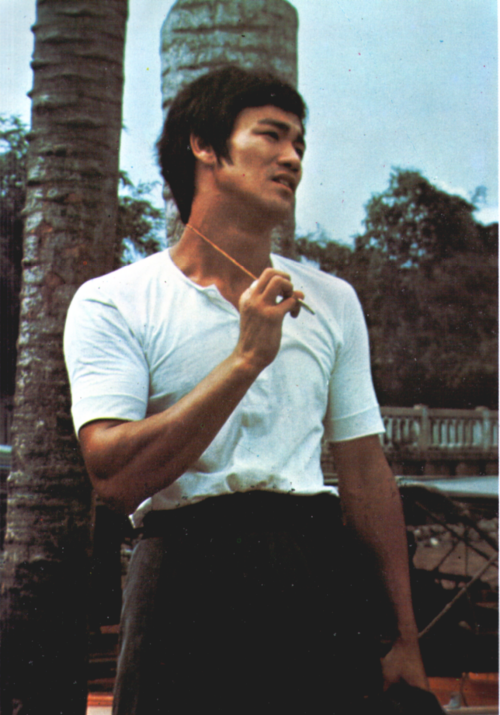 Bruce studied philosophy briefly in the U.S. but then he married and opened a martial arts school. It started in a very small way but eventually Lee's pupils numbered among them the rich and famous, among them James Coburn and Steve MQueen. Lee certainly was an effective teacher. "The true martial arts teacher should help a student find for himself the style of fighting that was most suitable for him". Lee wasn't just content to be good at the martial arts nor did his philosophy allow his pupils to have an easy time. "A punch or a kick is not to knock hell out of a guy but to knock hell out of yourself, your ego, fears and hang-ups". 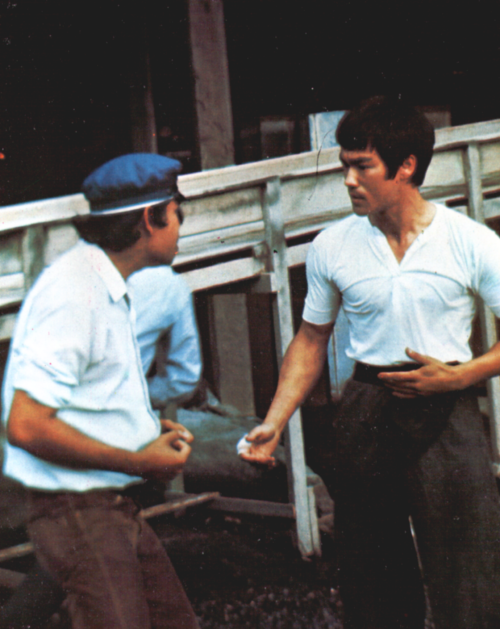 Bruce was born into a family which had an interest in the martial arts but also in acting. When he was a baby he appeared in a film called 'Tears of San Francisco'. As a child he appeared in films, among them 'The Birth of Mankind'. In the U.S. his chance came through television. He appeared in a series called 'Green Hornet' and made numerous small appearances in films and television shows. He appeared in a film called 'Marlowe', made for MGM, which didn't.do too well. 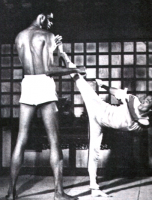 He was considered for the Kung Fu Television series but eventually David Carradine got the part, possibly because Lee's dynamic personality was not suited to the part of a low-key Shaolin monk. Eventually Lee got tired of hanging around in the U.S. for the big chance and headed for Hong Kong where he starred in the smash-hit Chinese film, 'The Big Boss'. "Chinese films were kind of unrealistic, but I introduced some new elements". Lee certainly did. His next film was 'Fist of Fury' which did even better than his first, and Lee went on to make an even more ambitious film called 'Way of the Dragon'. After these successes Lee's international reputation was secure. 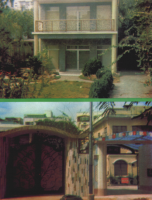 He was no longer just the idol of his homeland, Hong Kong, but famous throughout the world. 'Enter the Dragon' was his next film, his most expensive film, his most popular film in ways and, regrettably, his last complete film. 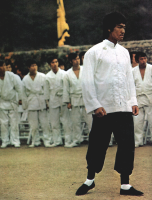 He had shot some sequences of 'Game of Death' and signed a contract for a further film when he died. His death came as a tremendous shock. He was a young man, an immensely fit man, and an incredibly famous man, but he was still a mortal man. Nothing can insure against death. He died in somewhat obscure circumstances but it seems that it was a brain haemorrhage that killed him. 120,000 people attended his funeral in Hong Kong and all the world mourned. His body was flown to America and was laid to rest in San Francisco, the city in which he was born. Bruce Lee may be dead but his spirit lives on. A real great legend in one bruce lee really lost. Very irreplaceable. I just weep over the skill that was sent earlier to the grave.